iVascular announces the release of Angiolite BTK, a sirolimus-eluting stent which has received CE Mark Approval for treating chronic and acute arterial lesions in lower limbs below the knee (BTK), improving blood flow in severe claudication and critical limb ischaemia. 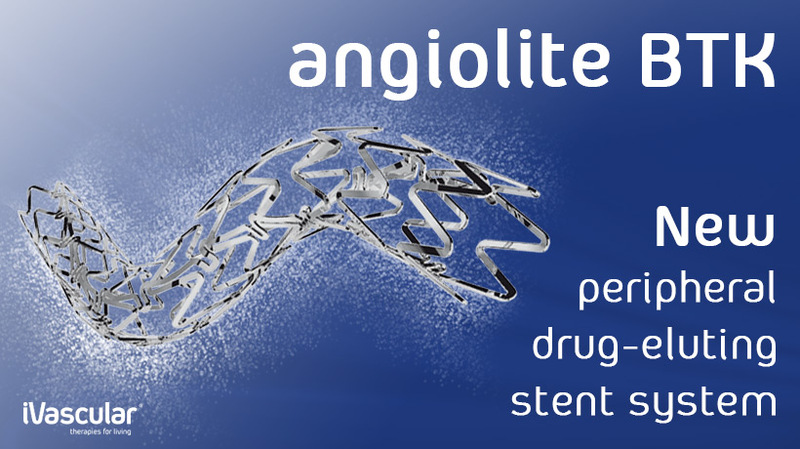 Angiolite BTK design has been specifically elaborated for drug eluting stent and benefits from iVascular proprietary coating nanotechnology that yields a multilayer thin coating with optimal kinetics. The first results of the clinical study led by Dr. Goverde, demonstrated a 6-month primary patency rate of 90% and an amelioration in wound healing and reduction of major amputation. “With this new launch, iVascular is proud to offer a complete portfolio for the treatment of endovascular pathologies” – said Lluis Duocastella, CEO of iVascular.